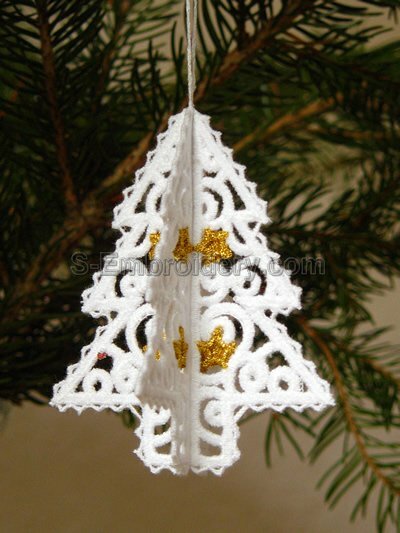 A set of 3 freestanding lace Christmas tree ornaments. 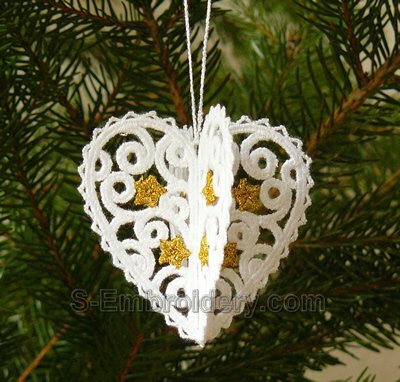 With the designs in this set you will create nice 3D lace ornaments for your Christmas decoration. 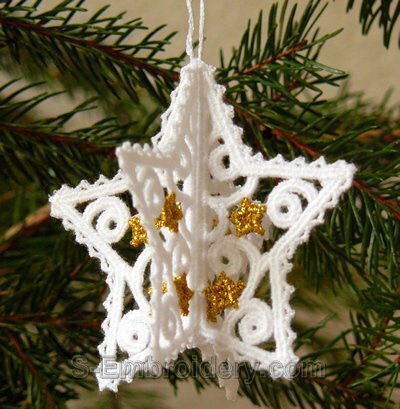 Each design is made of 2 parts which are easily joined together. 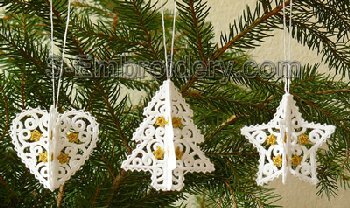 All designs will fit in 4x4 hoops.